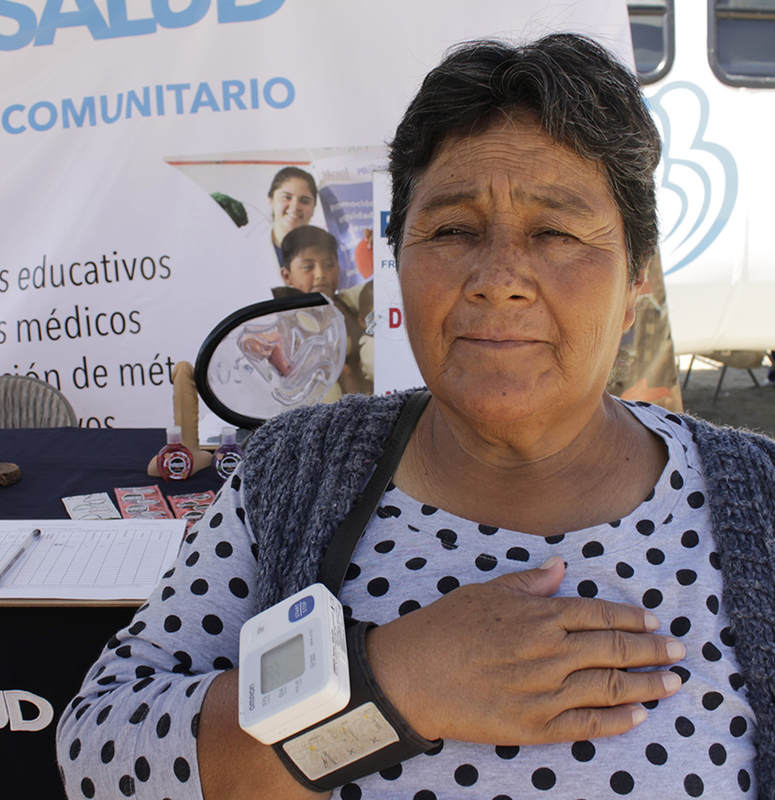 The main objective is to bring medical and educational services to the poorest communities in Baja California. 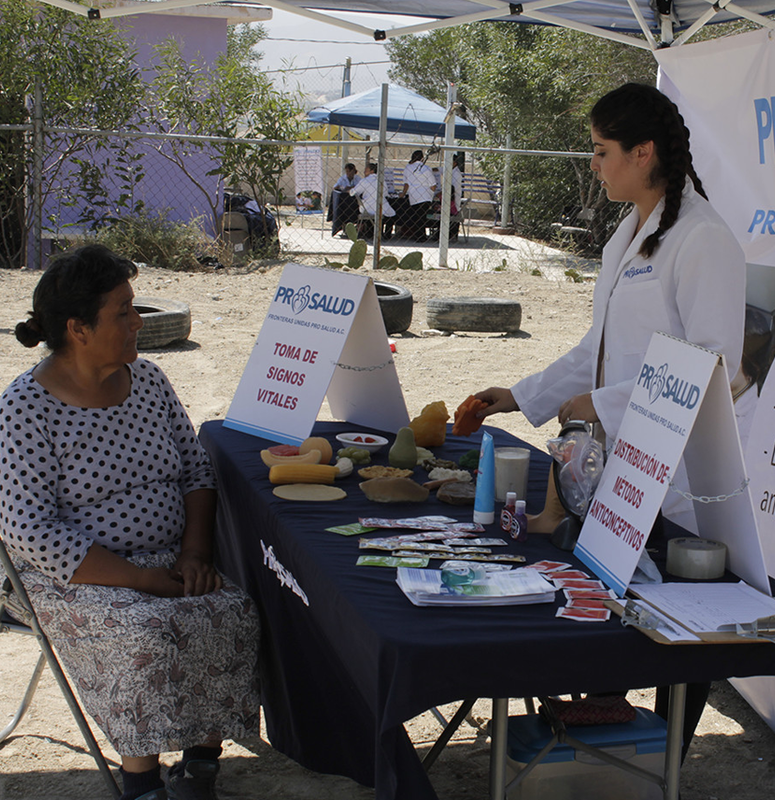 Many of our patients live on the outskirts of Tijuana and are unable to travel into the city for healthcare. In addition to needing family planning services and basic reproductive healthcare, many are at high risk for cervical cancer, which is the leading cause of death among Mexican women. If our patients can’t come to us, we go to them. 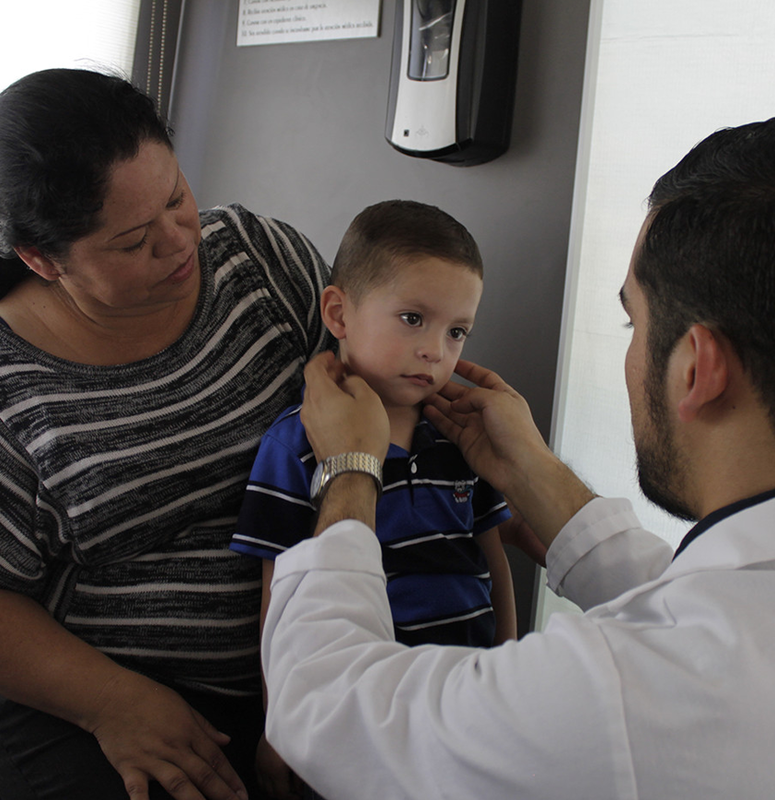 We operate five clinics in the heart of Tijuana neighborhoods. Each clinic is staffed by a physician and several health promoters, who provide comprehensive medical care to families of all incomes. •	General health care, including well-child care. •	Prenatal education and care. •	Family planning and reproductive health education. •	Testing, education and counseling for sexually transmitted infections. •	Classes in First Aid and CPR. The community clinics serve close to 8,000 clients each year. 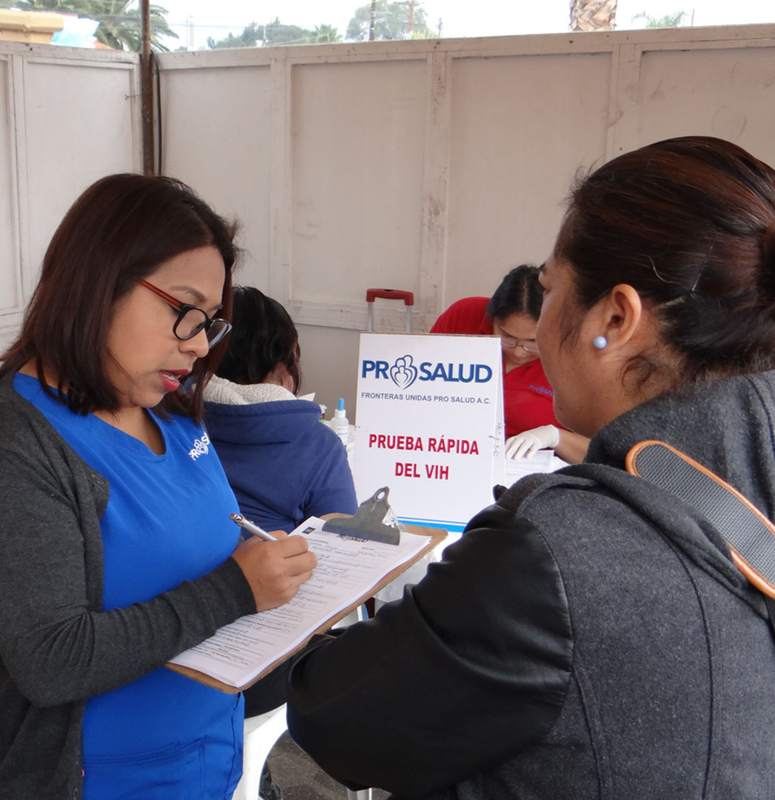 Pro Salud’s health outreach program provides medical and educational services -including information on family planning and cervical and breast cancer- to different communities in Tijuana, Rosarito, Tecate and Ensenada. Patients have a complete medical examination that includes pap smears and breast examinations for women and vaccinations for children, as well as general medical exams and evaluations of blood pressure, weight, height, blood sugar and cholesterol levels. The Mobile Clinic provides medical and educational services with emphasis on sexual and reproductive health in the marginalized sectors of the city that lack accessible medical services. 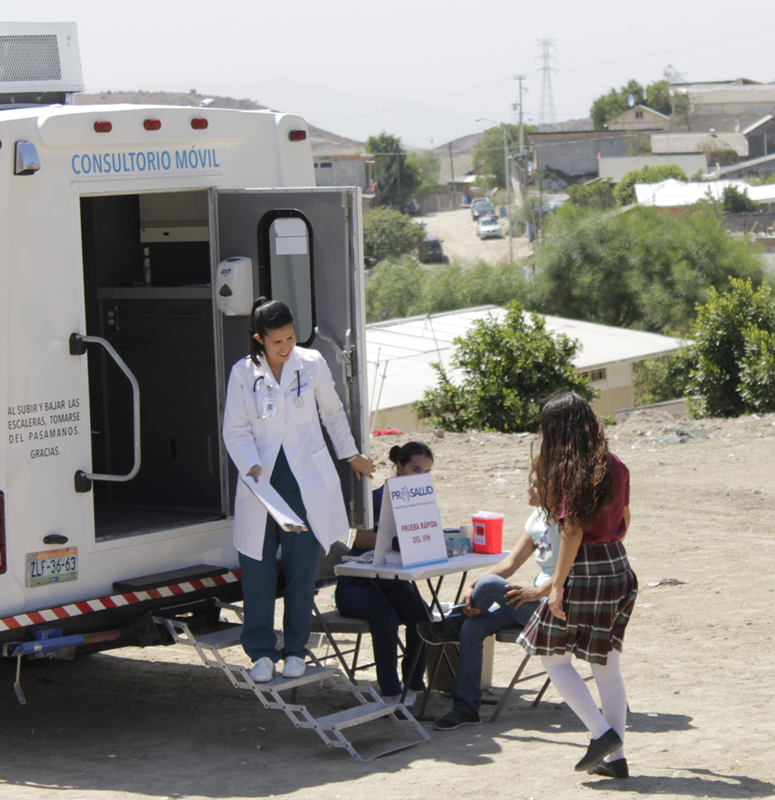 Having the Mobile Clinic allows Pro Salud to reach out to the most marginalized communities in Tijuana, Tecate, Ensenada, and Rosarito. Each year the mobile clinic serves more than 7,000 people with 10,000 medical services and 15,000 health education services.